This week, I have had the house to myself, aside from my dogs. The wife and kid were in Mexico on a mission trip to help build a house. They are coming home tonight – while it was fun for a while to live the life of a bachelor (ahhh, McDonalds, how I have missed you!) I am more than ready to have my family back. You know it’s bad when you start talking to your dogs so much, they just get up and leave the room. While I was envisioning this plethora of time watching tv, while swimming in empty pizza boxes, work got in the way, so I spent a good amount of time on projects. Projects for my company, and for fellow collectors who have been loving these customs I’ve been doing. So, even though I had the bed to myself, I have not been well rested. I’ve been up from 1-3 each night. I cannot blame it all on “work”, though. 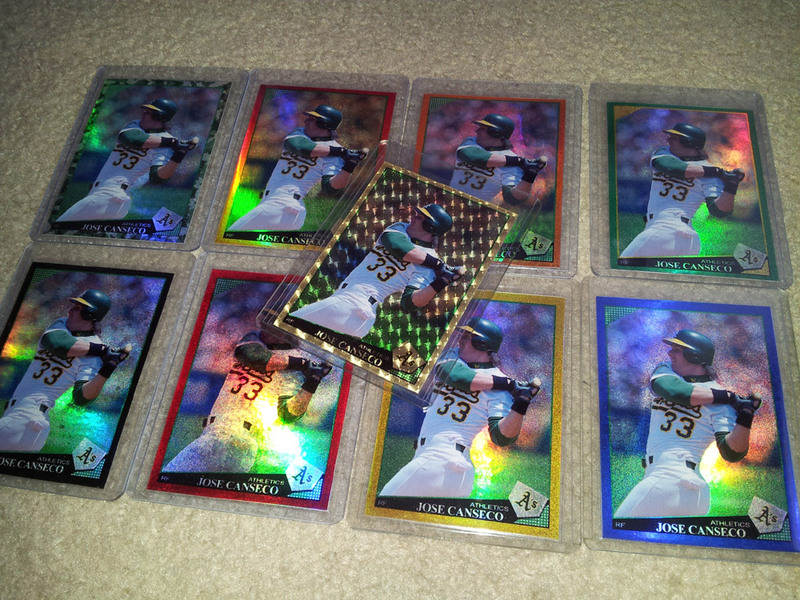 I can blame it on my first custom rainbow! 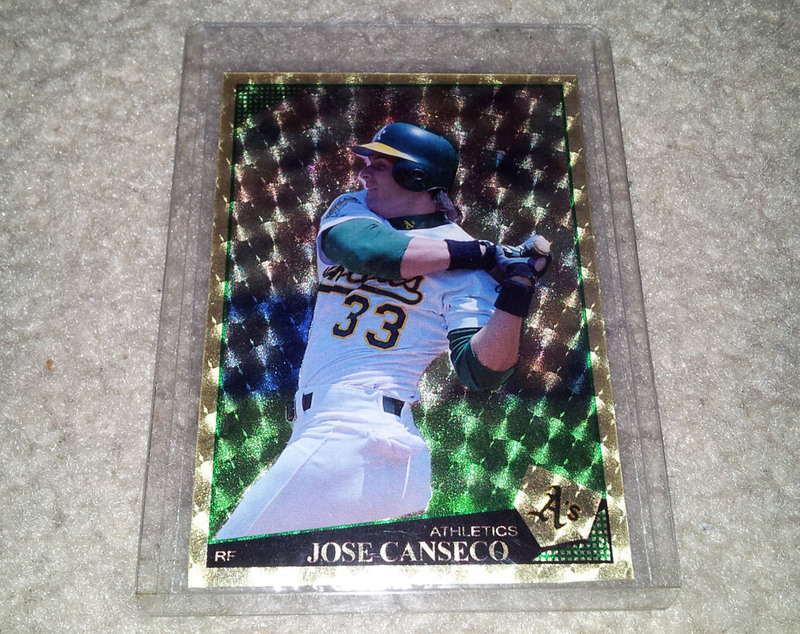 I decided to try it out on my 2009 Topps Jose Canseco custom I did. I had someone do a yellow and blue for me, but I just got materials in and have been practicing doing it on my own. 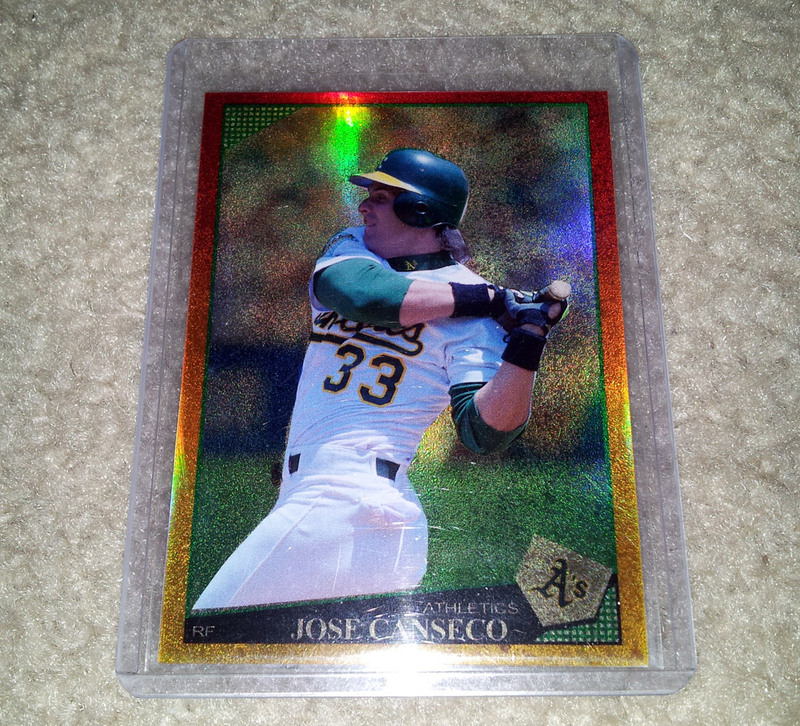 The main thing I wanted to try was to make the player on the card POP out of the refractor, so I ended up doing that. The color variations are as follows: Red, orange, black, blue, green, yellow/gold, camo, super and red/orange/yellow gradient (similar to the red hot rookies). These are my 3 favorites out of the bunch. 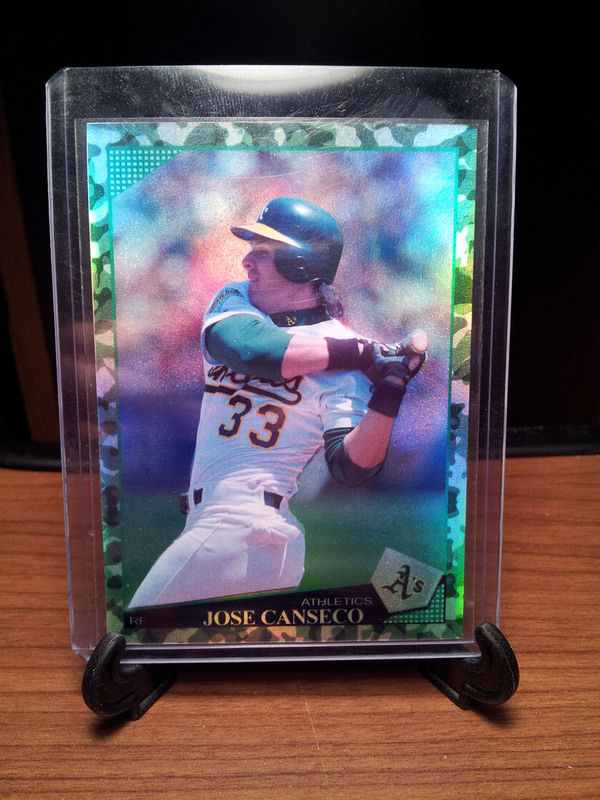 I think my #1 is the camo refractor. I wanted to do a more elaborate posting than this, but I wanted to share these with you ASAP and since my family is about to come home, I better not spend another moment on typing, and start hiding the Whataburger evidence … I mean … cleaning! Those are looking really awesome. Can I ask where you found the materials?